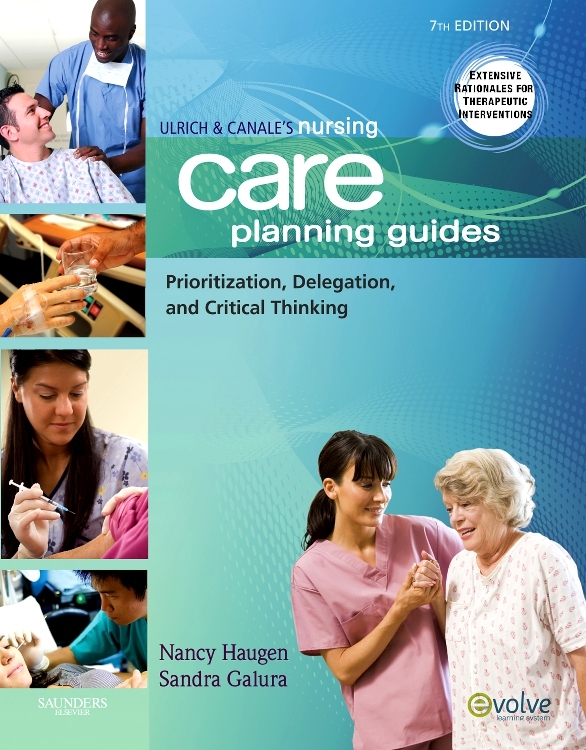 Introducing a plan for success with the only nursing care planning reference book for all core clinical areas! 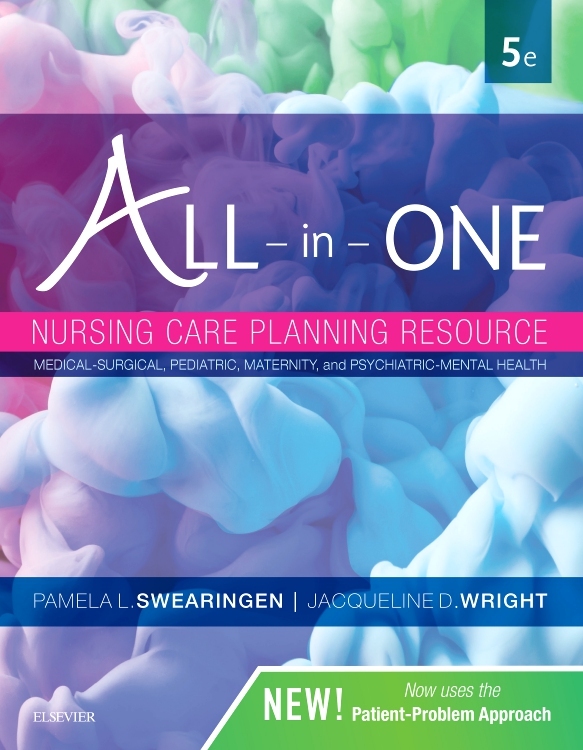 Swearingen's All-In-One Nursing Care Planning Resource, 5th Edition features over 100 care plans including medical-surgical, maternity/OB, pediatrics, and psychiatric¿mental health to help you care for patients in any setting. This new edition is the first in the market to include a unique, interprofessional, "patient problem" focus which teaches you how to speak to patients in conversational terms rather than in nursing-specific language. New non–med-surg care plans and updated content throughout reflects the latest evidence-based treatment guidelines for national and international clinical practice. 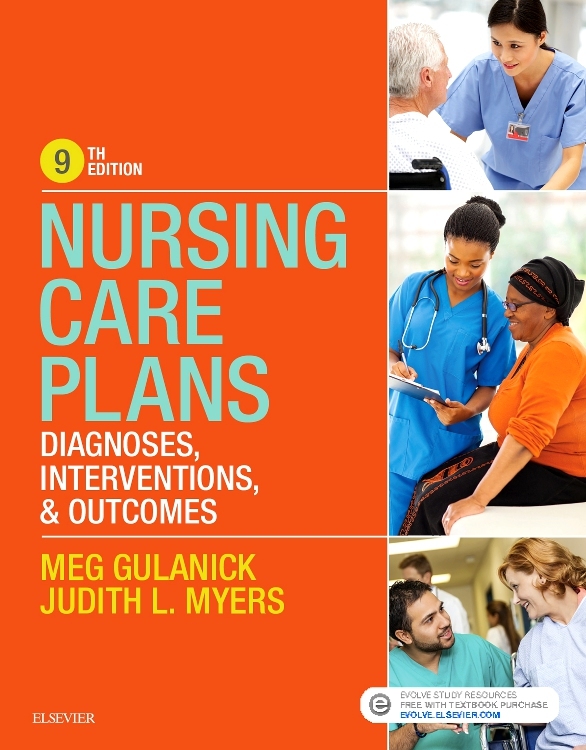 Plus, with its clear approach, easy-to-use format, and straightforward rationales, you’ll be able to use this one book throughout your entire nursing program! Bolded and highlighted Safety Icons corresponds to the safety competency of the Quality and Safety Education for Nurses (QSEN) initiative for easier recognition. Care plans for all four major clinical areas include medical-surgical, OB/maternity, pediatric, and psychiatric-mental health nursing care plans. A consistent format for each care plan enables you to perform faster searches, with headings for Overview/Pathophysiology, Health Care Setting, Assessment, Diagnostic Tests, Patient Problems, Desired Outcomes, Interventions with Rationales, and Patient-Family Teaching and Discharge Planning. Prioritized patient problems are listed in order of importance and physiologic patient needs. Detailed rationales for each nursing intervention help you apply concepts to specific patient situations in clinical practice. Full-color design makes the book more user friendly and includes color-coded tabs and improved cross-referencing and navigation aids for faster information retrieval. NEW! UNIQUE! Interprofessional "patient problems" focus familiarizes you with how to speak to patients and other medical colleagues in the consistent interprofessional language of "patient problems," rather than the nursing-specific language of nursing diagnosis. NEW! Care plans helps you to support the lesbian, gay, bisexual, transgender, queer/questioning, or intersex patient. NEW! Updated content throughout reflects the latest evidence-based treatment guidelines and national and international clinical practice guidelines.